The sea otter habitually uses tools as a means of obtaining food. 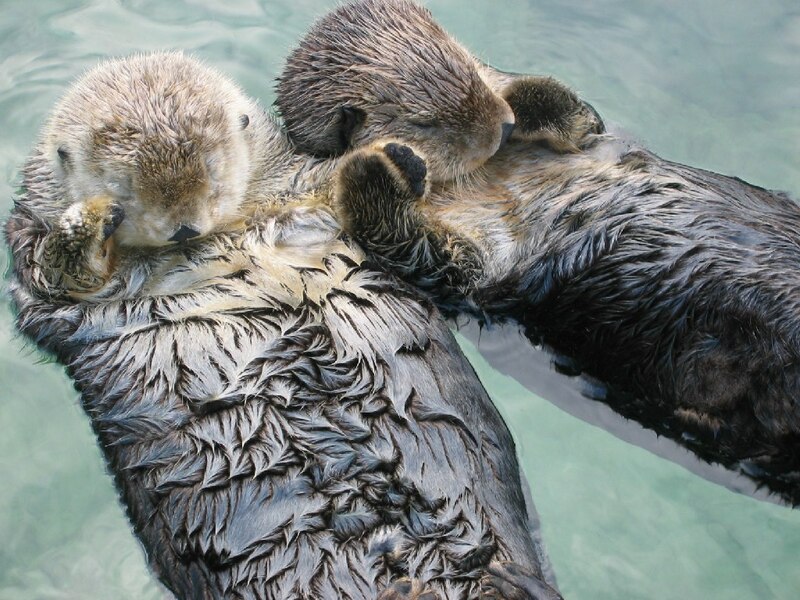 A swimming otter may place a stone on its chest and then repeatedly bang a mussel held between its forepaws against it until the hard shell is cracked and the soft insides can be removed. Researchers studied this behaviour in otters at the Point Lobos State Park in California. They found that, as well as mussels, on occasion other items such as crabs and urchins were also pounded, either against a stone or on the chest itself. The same stone was frequently retained for several successive food items, and such retention would seem to imply an anticipation of use that goes beyond the immediate situation. Hall K. R. L and Schaller B 1964 Tool-using behaviour of the California sea otter. Journal of Mammalology. Volume 45, No 2, 287.